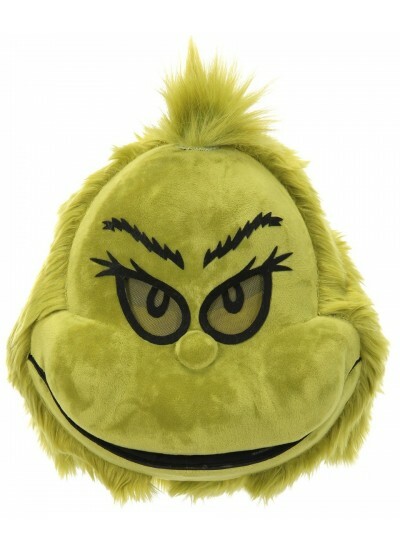 Steal Christmas, or your holiday event, with this Dr. Seuss The Grinch Plush Mouth Mover Mask by elope. Talk and the mask moves too! We've created this mask to recreate the Grinch's iconic visage made famous by the beloved childrens book. 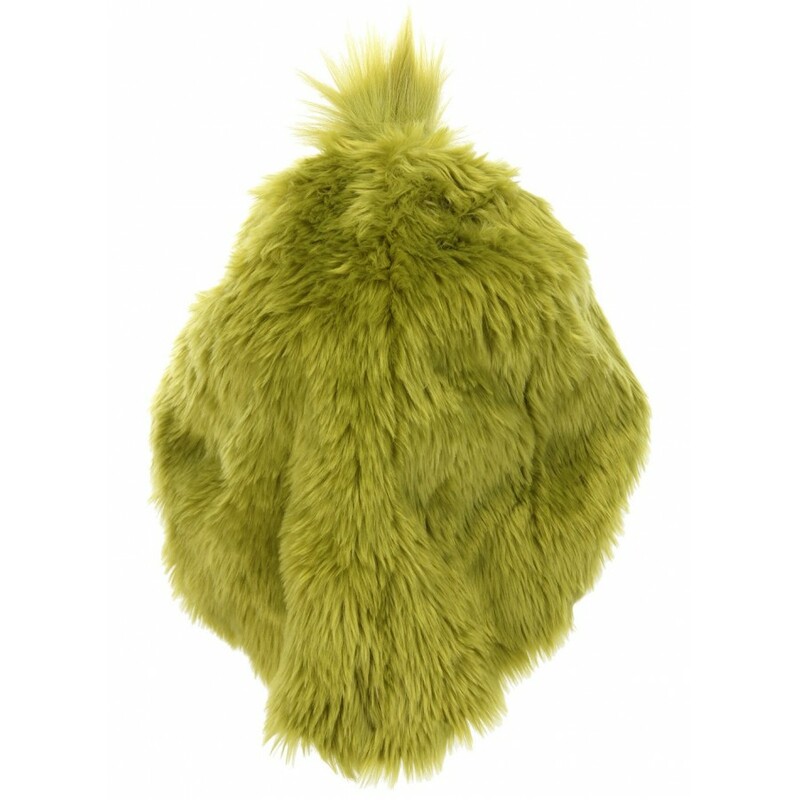 Featuring plush construction, super soft crystal velboa, and elope's proprietary design this Mouth Mover will impress Whos everywhere. Slip the mask over your head and the carefully sculpted plastic construction and comfortable foam chin rest will allow the signature Mouth Mover action. Talk and the mask moves too! An inner elastic headband rests just below the base of your head and is adjustable to ensure each Mouth Mover can fit Whos tall and small. 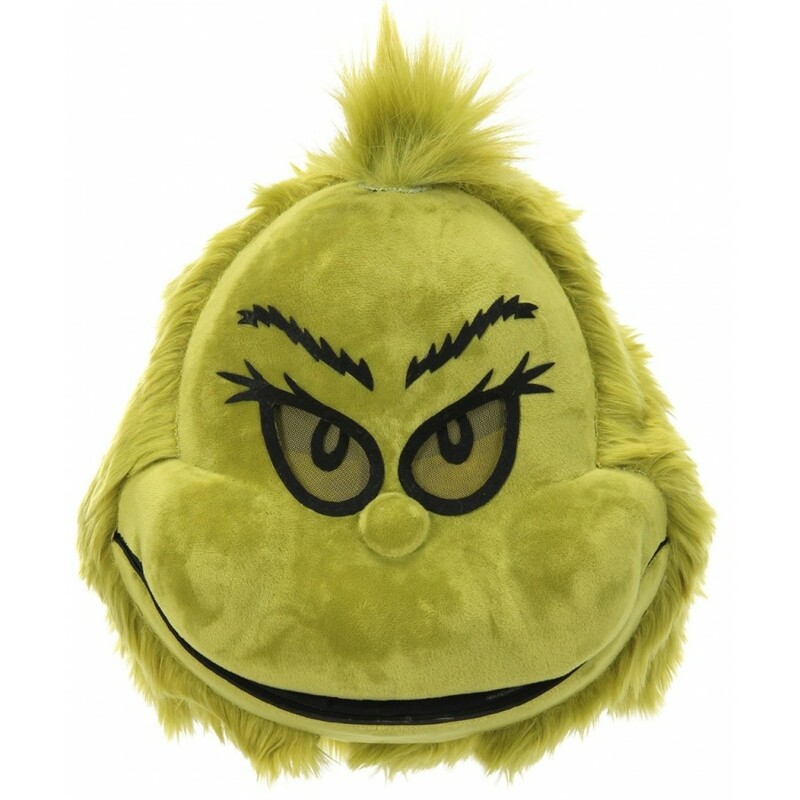 Whether you're looking for a unique standalone mask, or a finishing touch to your larger Grinch inspired costume, we think you'll have great Grinchy trick with this Dr. Seuss The Grinch Plush Mouth Mover Mask by elope. Item Number: EL-444473 | Approximate Size (Inches): 20.87 wide x 4.33 deep x 12.20 high | Approximate Shipping Weight: 3.00 lbs.